Before you finalize a graduate program choice, it’s important to know whether or not the investment is worth it. You will be putting a lot of time and money into your graduate experience, and possibly even some of your employer’s money. Doing your homework about the school you choose is very important. Will this degree be viable? Whether an institution has a religious focus or not, has no bearing on its ability to grant degrees. Many Christian universities offer legally recognized master’s degrees. But, other schools may offer only undergraduate degrees or associate’s. Here is how to tell. In common American vocabulary, we usually use these two words interchangeably. For the most part, they are indistinguishable in our school system. But, there is a slight difference, and it does matter here. 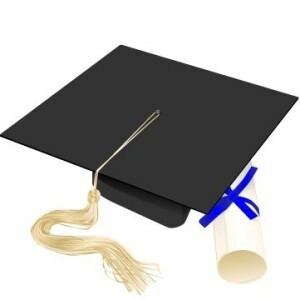 A college is only certified to award associate’s or bachelor’s degrees. A university has a graduate school, and so they are certified to award master’s and doctoral degrees. Most universities have both undergraduate and graduate schools, but some are simply graduate schools. Regent University, for example, did not have undergraduate programs until fairly recently. It was strictly a graduate school. Even now, their undergraduate programs are limited. Liberty University is now a leader in online education. But it spent the first few decades of its inception as Liberty Baptist College, because it had not built its graduate programs and only awarded bachelor’s degrees. This explains why a community college is specifically called a “college,” and not a university. This also explains why Bible colleges are called colleges. Because they only want to grant religious instruction, they have no interest in the full academic scope of a bachelor’s program. The majority of them are certified to award associate’s degrees or certificates. If the school calls itself a “college,” you cannot receive a graduate degree. For the most part, if it calls itself a “university,” you can receive a master’s degree. However, there is still one more thing you must check. Anyone can call themselves a “school,” hold a few classes, and print up a diploma that’s not worth the paper it’s printed on. Really, there is nothing wrong with that, as long as they are not misleading. What students need to look for is accreditation. Accreditation is what makes a diploma from The Local Craft Store College of Sewing, legally different than a diploma from, say, the University of California at Los Angeles. Accreditation is a mark of accepted academic standards that all institutions have agreed upon. This is what legally allows them to award degrees. Christian universities must adhere to the same standards as secular universities in order to receive accreditation. There are only a handful of accrediting agencies in the United States, and accreditation is revisited periodically. Many Christian universities are accredited through Southern Association of Colleges and Schools, although there are other agencies. Schools are very open about their accreditation status. If a school is accredited, they will have it printed in their marketing material and certainly on their website. If they are not accredited, they will usually not put it in their promotional material, but they will not use terms like “bachelor’s” or “masters.” They will instead use terms like, “associate’s,” or “certificate.” A quick visit to their website, and they will openly confirm they are not accredited. In short, you cannot receive a master’s degree at a Christian college, but you can receive one at a Christian university as long as it’s accredited.